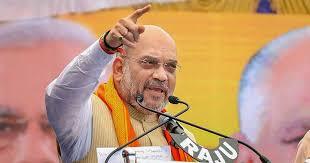 The Bharatiya Janata Party’s decision to break its alliance with the Peoples Democratic Party (PDP) and plunge Jammu and Kashmir into political chaos comes as a climax to a dilemma that the party’s government at the Centre had been facing since the State elections in 2014. On the one hand, it needed political stability and a friendly government in J&K to find a political solution to the growing insurgency and unrest in the Valley. On the other hand, the BJP needed to placate its Hindu constituency in Jammu by appearing to stand tough against Srinagar. In the end, the party chose short-term electoral gains over long-term necessities of finding peace in Kashmir. Sadly, this dilemma is something that successive Indian governments have struggled with for many decades. Jammu politics has always cast a long shadow over national politics and complicated the Srinagar-Delhi relationship. The demographic reality of Jammu — as a Hindu majority region within a Muslim majority State, in a Hindu majority nation — makes it an irresistible magnet for religious and identity politics, which inevitably hinders attempts to bring stability in the State as a whole. India was first confronted with this problem in the early days of the republic when a mixture of Jammu unrest and religious politics brought down one of the strongest attempts to bring a permanent resolution to the Kashmir problem. This was the Jammu Praja Parishad (JPP) agitation which went on for nearly a year in 1952-53. In 1952, India seemed close to solving the Kashmir question. 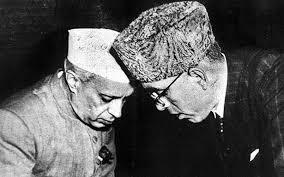 The J&K Premier, Sheikh Abdullah, had succeeded in establishing a stable government in Srinagar. He had also developed a good working relationship with Delhi, underpinned by his personal friendship with Prime Minister Jawaharlal Nehru. In July, both sides signed the 1952 Delhi Agreement establishing the federal framework for India and J&K. Soon thereafter, the new Prime Minister of Pakistan, Mohammad Ali, committed to finding a peaceful solution to Kashmir “within one year” and began a series of talks with Nehru. Unfortunately, this moment o0f bonhomie was mired by the widespread unrest that flared up in Jammu in late 1952. The JPP, a local Hindu party founded by RSS leader Balraj Madhok in 1947, took to the streets protesting against the State government. The initial agitation was over Abdullah’s land reforms, which had adversely affected the landowners in Jammu. However, soon the agitation took on hues of hypernationalism. “Ek Vidhan, Ek Nishan, Ek Pradhan (One constitution, one flag and one Premier)” became the rallying cry. Soon afterwards, the national Hindu right-wing parties rallied around the issue. 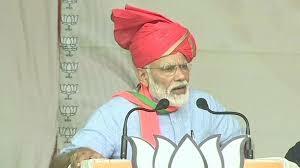 They included the then-powerful Hindu Mahasabha, the BJP’s predecessor Bharatiya Jan Sangh, and a little-known party called the All India Ram Rajya Parishad. Under the leadership of S.P. Mookerjee, these parties launched a nationwide campaign in support of the Jammu agitators in February 1953. In May, Mookerjee travelled to Kashmir where he was arrested. He died of a heart attack a month later under detention. Meanwhile, Nehru found himself facing the Kashmir-Jammu dilemma. He continued to believe that the Abdullah government represented the best hope of finding a political solution to Kashmir. But he also had to find a way to put the Jammu agitation and its accompanying Hindu right-wing campaign to rest. For several months he continued to resist any compromise with the agitators, attacking the Hindu right-wing parties and giving full-throated support to Abdullah. However, after Mookerjee’s death, he had to give in, issuing an appeal to the agitators in July. The protests were suspended shortly thereafter. The only real victors of the agitation were the Hindu right-wing parties. Many within their own camp saw the potential dangers of such a divisive campaign but the political opportunity it offered was irresistible. At the time they were seen as somewhat outside the realm of mainstream national politics. The protest campaign allowed them to expand their base and gain legitimacy in the eyes of the Indian public. Nehru’s direct appeal to them was also interpreted as a boost to their political stature. Today, while the Kashmir-Jammu dilemma remains, the political landscape has completely changed. The BJP is not only the ruling party in New Delhi, it is also the biggest political force in the country. It can no longer afford to play the spoiler as before because of the national responsibilities that weigh on its shoulders. The myopic decision to withdraw support from the Srinagar government betrays its old mode of thinking. It needs to take the long-term view. In fact, given its dominant position in Jammu, it is arguably better positioned to manage the dilemma than previous governments. Instead of pursuing superficial political gains, the BJP’s government at the Centre should use its unique position to find a permanent political solution for the entire State.